4 Godstone Road, CR3 6RA.Tel: 01883 770388. Shop Smart offer: Spend £40 or more at Bow Butterfly and get a free item of jewellery of up to £10 for Shop Smart cardholders. Details in shop. 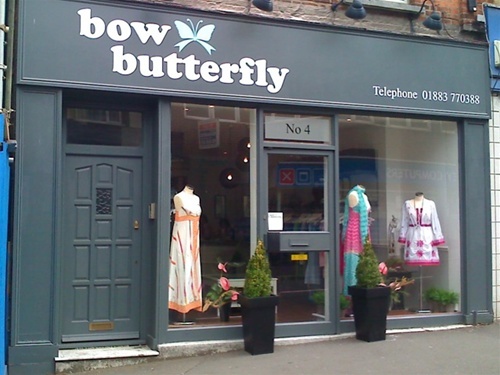 Bow Butterfly is an affordable new boutique selling an eclectic range of clothing, jewellery and accessories for women and children. Opening Hours: Tuesday - Saturday 10am to 5pm. Sunday and Monday closed. Right next to Cafe Nero. Have a latte and pop in to browse our attractive range. No 4 Godstone Rd, replacing the Music Company.